FM series brake motors are externally ventilated and completely closed. 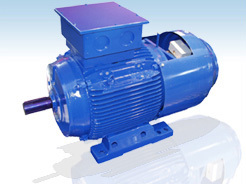 FM motors are available from frame 225 up to 315; all the components of the motor parts are in cast iron and the motors are supplied painted blue RAL5010. The brakes mounted are DC and made to ensure a very long life. The very strong structure of FM series brake motors ensures high reliability for high power applications. The brake courrent supply is separated from the motor supply as standard.